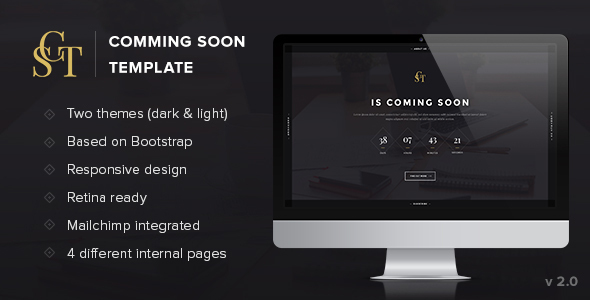 CST – Coming Soon Template is a creative, minimal and fully responsive template. The design is unique, well documented and very easy to configure and update the content. It comes in two color options: light and dark. It includes a subscription form connected to MailChimp api, a nice Contact Form build with PHP and Ajax, a custom countdown timer based on JQuery and more.